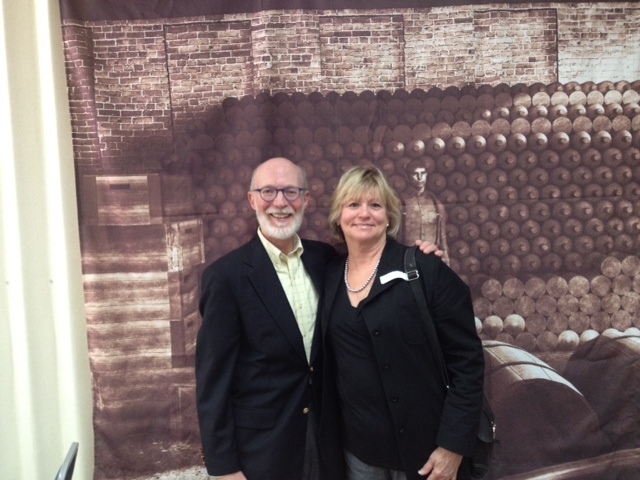 I’VE JUST SPENT TWO DAYS IMMERSED IN SOUTH CAROLINA HISTORY. I know that’s not everyone’s ideal weekend, but for me—writer, amateur historian, born in Carolina—it was matchless. I was a guest of the Confederation of South Carolina Local Historical Societies at its annual Landmark & Preservation Conference. The conference was held in North Augusta, which is located midway along the border between South Carolina and Georgia. 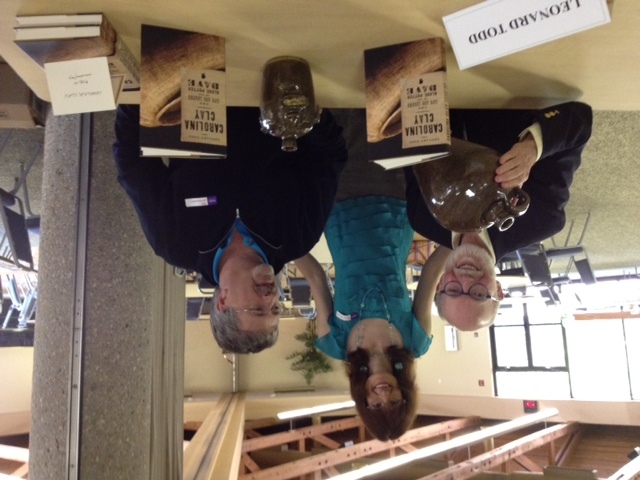 Brenda Baratto, president of the North Augusta Historical Society and organizer of the conference, had invited me to speak on the slave potter, Dave, and sign copies of Carolina Clay, my biography of him. 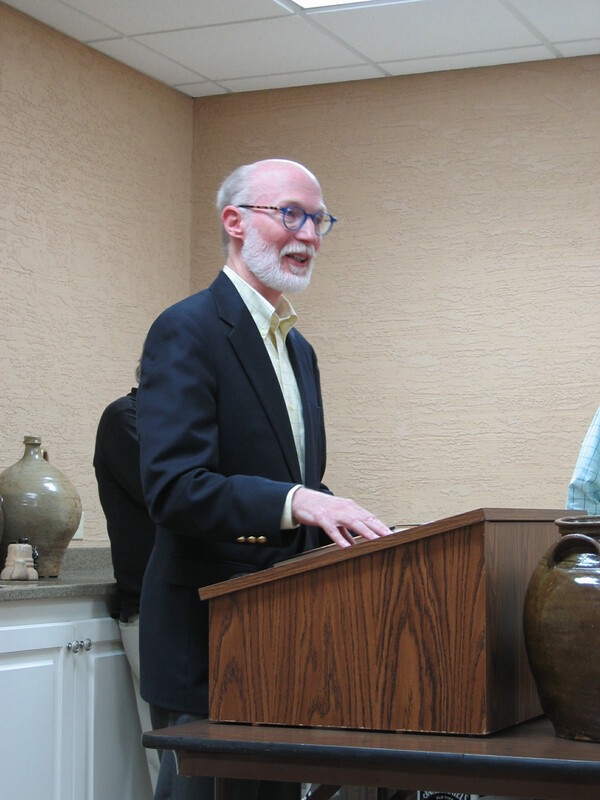 Dave was an ideal subject for the conference because he lived in Edgefield County, North Augusta’s close neighbor. In my talk, I traced his turbulent life, which spanned the years from 1801 until the mid-1870s. Though he was free after the Civil War and a registered voter, he and the other former slaves of Edgefield faced new challenges that were in some ways as daunting as those they had known under slavery. 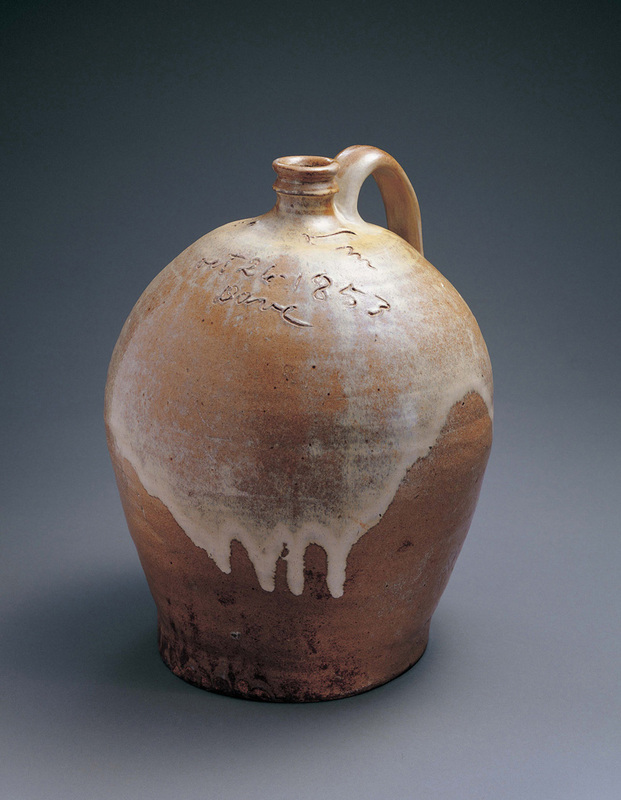 Through it all, he produced his pots, many of which are now in America’s finest museums. Tony Riley, a collector of Edgefield pottery, and Gary Dexter, who turns pots using traditional methods, joined me in fielding questions from the audience. 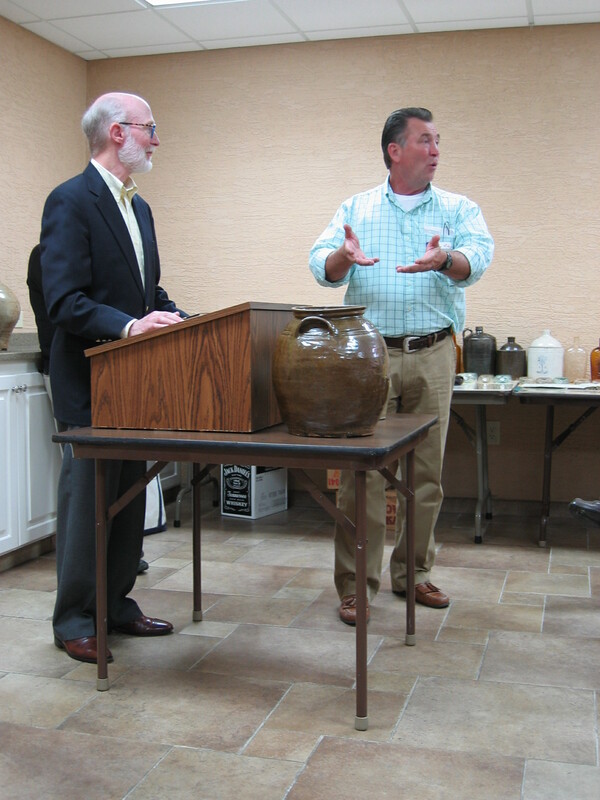 Several in attendance at the lecture were also experts: Jim Witkowski, pottery collector; Tony Carr, collector and repairer; Harvey Teal, historian and writer. They added to the extraordinary store of knowledge about Edgefield pottery in the room. If none of us knew the answer, we could turn to Dave, himself: we had two of his vessels on hand—a pitcher and a storage jar—to refer to for technical details. 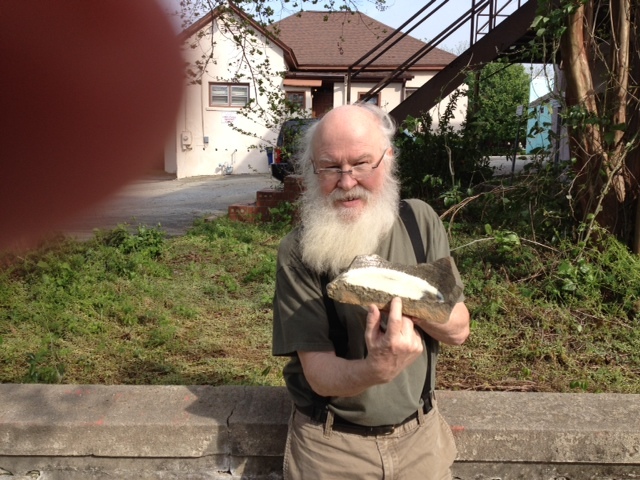 Tony Riley is shown here with the storage jar. We had pots made by others, as well. 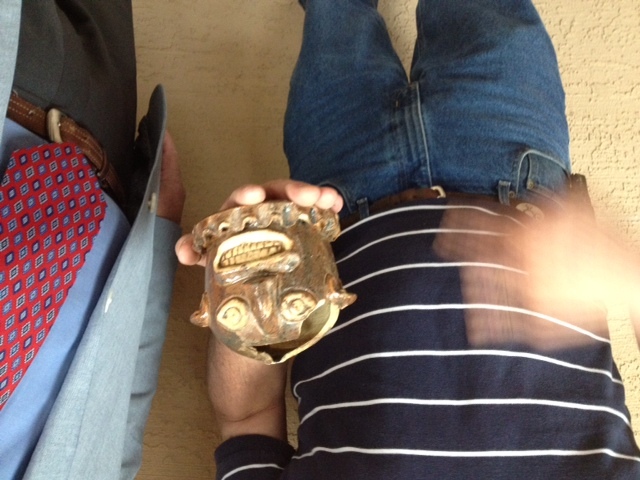 Tony Carr brought in a type of face vessel that I had never seen before. Look closely at this photograph and you’ll see that it is a coin bank. It appears to have a ruffled collar, like that of a clown. Because there were presentations throughout the first day of the conference, I was able to sit in on several of the other talks, which was a real pleasure. I heard April Hynes and Dr. Mark Newell give an evocative program on the slave ship, Wanderer, which brought an illegal cargo of Africans to the shores of South Carolina in 1858. A number of slaves from the ship were ferried up the Savannah River to a plantation near present-day North Augusta. April, a genealogist, has located the descendants of many of the Wanderer slaves, while Mark, an archaeologist, has been able to shed new light on the ceramic face vessels thought to have been made by slaves from the ship. Details about their research are at www.thewandererproject.com. In another session, Christi Koelker, a filmmaker, gave a lively overview of how to film the story of your own family history. She and her husband, Jamie, have documented many aspects of South Carolina history, including the recent archaeological dig at the kiln that Dave used at Pottersville, just outside Edgefield. Dramatic findings from that dig are at www.storylinemedia.com. I also enjoyed a presentation by Jeanne McDaniel and Elliott Levy on The Hampton Terrace Hotel, which once stood on the crest of the hill that North Augusta is built on. With a view out over the Savannah River and into Georgia, the hotel was the largest wooden structure in the world when it was built in 1902. Its glory days were few, for it burned to the ground in 1916. 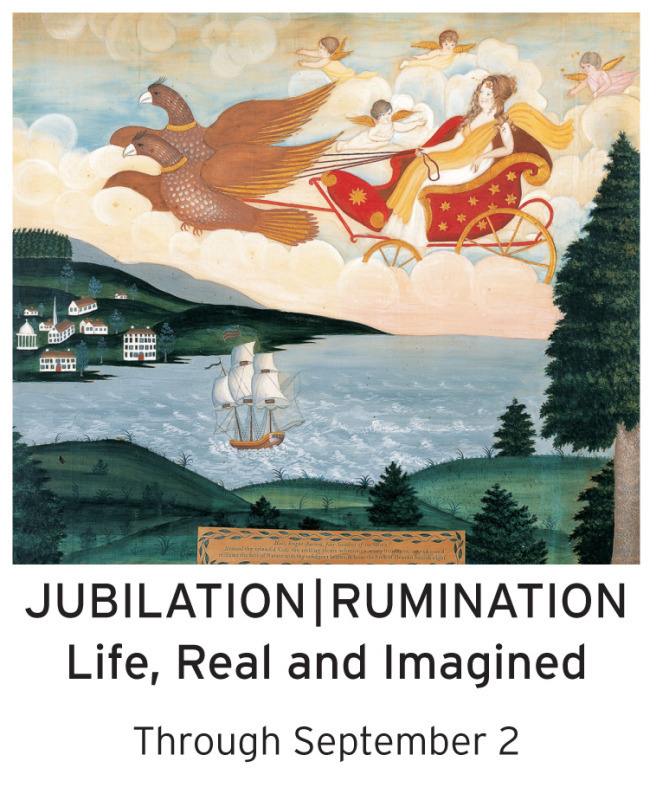 Jeanne tells the story in her book, North Augusta: James U. Jackson’s Dream. At the conference banquet that evening, Tonya Browder, Director of the Tompkins Library in Edgefield, was presented the Alexander S. Salley Professional Service Award, for advancing the cause of history in South Carolina. Tonya helped me throughout my research for Carolina Clay, as she has helped so many others over the years with projects small and large. She richly deserves this important award. To find out about the extensive genealogical resources of the Tompkins Library, go to www.oedgs.org. On the second and final day of the conference, I visited sites related to the 1876 incident known as The Hamburg Massacre. In the course of that tragic, politically complex event, eight men were killed—seven blacks and one white. The killings took place in the now-vanished town of Hamburg, which stood on the banks of the Savannah River close to what is today North Augusta. Historians Wayne O’Bryant and Peter Hughes led the tour, which was quite moving. Wayne’s book on the killings and the impact of the episode on South Carolina history is scheduled to appear soon. Its title is The Exhumation of Hamburg Incident. There were other tours and talks that I couldn’t fit into the time available. I made sure to be present, however, at the final event of the conference: lunch at the 1950s-modern Sno-Cap Drive-In, another piece of local history, this one still sleek and shining! For information about the Confederation and advance news of next year’s conference, consult www.palmettohistory.org/confederation. 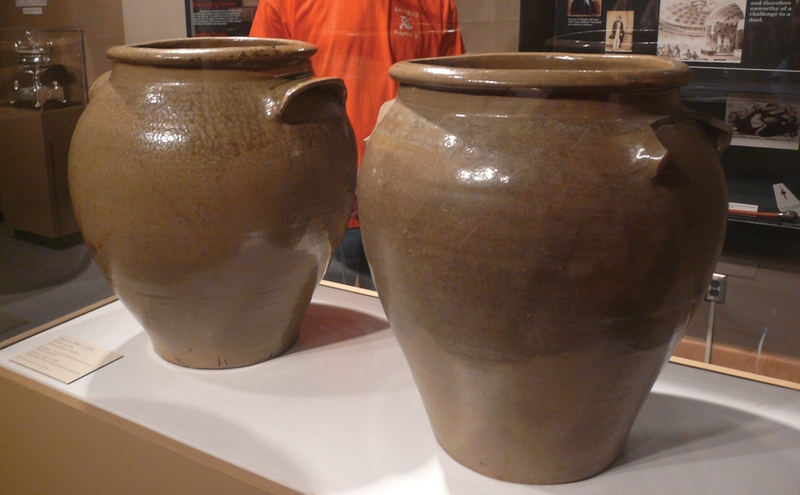 Here’s an informal photo of the two jars by Dave that I wrote about in my last post. They are currently on exhibit at the South Carolina State Museum. 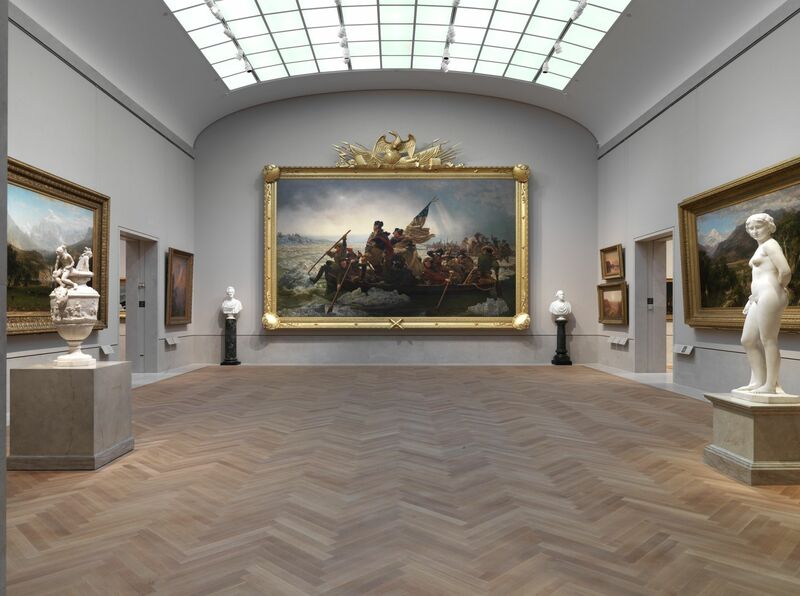 I didn’t have my camera when I visited the museum, so Paul Metheny, Chief Curator of Art, was kind enough to send me this shot. Though you can’t read the inscriptions that Dave wrote on the jars, you can see how closely the two containers match each other, both made just a few weeks apart in the summer of 1834. The verses written by the 19th-century potter, David Drake, are some of the most unusual in Southern literature. He wrote them on his pots, inscribing them on the damp clay with a sharp stick; he wrote them while he was in slavery; and, he wrote them when it was against the law in his home state of South Carolina for a slave to be taught to read or to write. They are among the very few words written openly by Southern blacks while they were enslaved. I list the more than thirty known inscriptions by Dave in my book, Carolina Clay: The Life and Legend of the Slave Potter, Dave (W. W. Norton). I describe them as “his conversation with the world.” Dave has just picked up that conversation again, for a pot bearing a previously unknown verse by him has recently come to light. The new verse is a wonderful addition to his work. I’ll be telling you what he has to say in my first posting on this site, which will be coming up soon. In the meantime, visit my website to read other verses by Dave and see pictures of his work: www.leonardtodd.com.